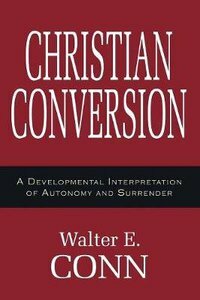 Walter Conn has provided us with something we have needed for a long time -- a scholarly study of Christian conversion that draws synthetically from present day psychology, philosophy, and theology and uses these insights to analyze actual Christian religious experience. And in doing that, Conn has produced what is probably the best treatment to date of foundational moral theology. To follow Conn through the pages of this volume is to become acquainted with most of today's important reflection on human moral and personal development. But one emerges with much more than relevant information about what is being said; Conn's own view of conversion goes beyond the thinkers from whom he draws and provides a basic challenge to and enrichment of our understanding of faith and morality. -- Bernard Cooke, Holy Cross College Walter E. Conn is Professor of Theology and Religious Studies at Villanova University. He is also the editor of Horizons, journal of the College Theology Society.